HARARE – A SOUTH AFRICAN firm, Tharisa, linked to the Pouroulis family, has acquired 26,8 percent shares worth $4,5 million in Karo Holdings to “secure access” to a tier one PGM resource on the Great Dyke in Zimbabwe. The Pouroulis family also control Karo Holdings. Michelle Taylor,the chief operating officer of Tharisa, which trades its shares on the Johannesburg and London stock exchanges, said the deal was in line with the company’s growth strategy in Zimbabwe. The acquisition of Karo Holdings by Tharisa, which owns and operates Tharisa Minerals, a PGM and chrome co-producer, located on the Bushveld Complex in South Africa, is its second project in Zimbabwe after it acquired a 90 percent stake in Salene Chrome in May this year, the holder of special grants over an area of approximately 9 500 hectares of highly prospective alluvial chrome properties on the eastern side of the Great Dyke in Zimbabwe. The Great Dyke of Zimbabwe contains the world’s largest known PGM deposits outside of South Africa. 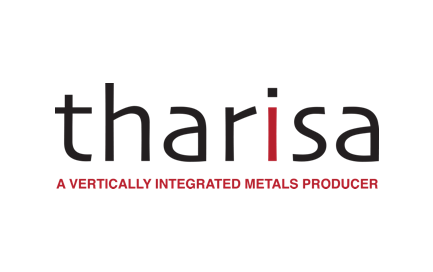 “Tharisa today announced that it has acquired a 26,8 percent shareholding in Karo Mining Holdings (Karo Holdings), which gives it access to a tier one PGM and base metal resource situated on the Great Dyke in Zimbabwe, for a total cash consideration of $4.5 million,” Tayllor said. “The acquisition presents an attractive opportunity to expand Tharisa’s PGM interests into Zimbabwe. It provides Tharisa with a low cost, low risk entry into a new geography and to access development projects that will offer the group the chance to replicate the success achieved at Tharisa Minerals,” Taylor added. It is understood that Tharisa has agreed to provide a S$8 million debt facility to Karo Platinum for the initial geological exploration and sampling work to determine a compliant mineral resource. Tharisa will manage the exploration and oversee the subsequent bankable feasibility study. Karo Platinum, a subsidiary of Karo Holdings, has been awarded the PGM mining rights under a special grant covering an area of 23 903 hectares situated on the Great Dyke in the Mashonaland West District of Zimbabwe. This area of land was recently released by Zimbabwe Platinum Mines (Zimplats) from its mining lease area in support of the Government of Zimbabwe’s efforts to enable participation by other investors in the platinum mining industry in Zimbabwe.